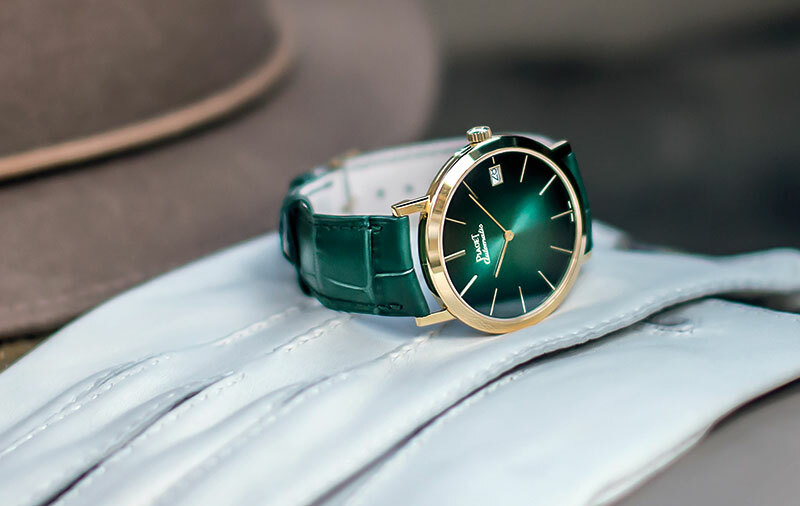 Inspired by the visual characteristics of the first ultra-thin watches from the maison, the Altiplano Automatic goes back to basics while presenting fresh hues. The dial echoes that of the original Altiplano, even in the font used for the logo — cursive instead of the all-caps moniker that we find on modern creations. Offered in yellow gold with a green dial, rose gold with a blue dial and white gold with a grey dial, it is fitted with a new in-house movement, 1203P, which powers both the time and date. 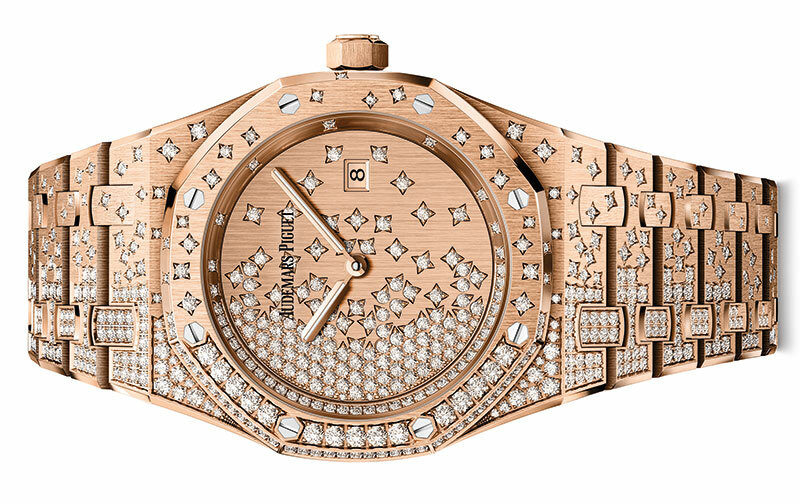 Inimitably bedazzled and unquestionably opulent, the new 33-mm Royal Oak Quartz is characterised by swirling diamonds, gliding beyond the dial and bezel and onto the bracelet, inspired by falling snow. Available in 18-carat pink or white gold and powered by the quartz calibre 2713, it boasts 112 brilliant-cut diamonds on the dial and 429 on the case and bracelet. Classic and uncomplicated, the Da Vinci Automatic takes its cues from the Da Vinci SL of the 1990s. 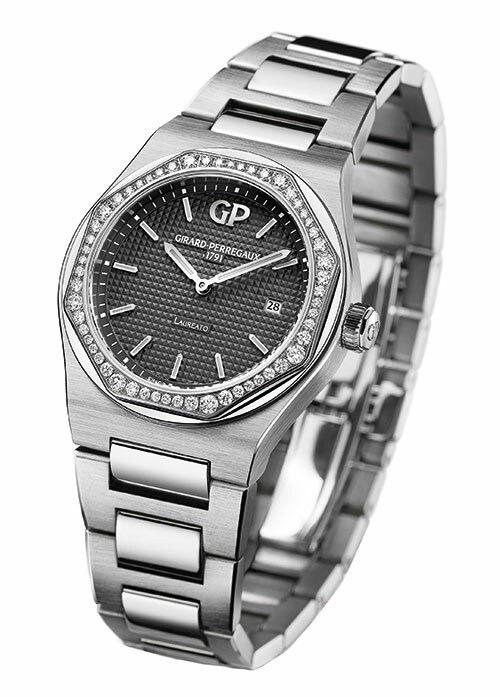 A silvered opaline or grey sunburst dial accompanies the 40-mm stainless steel case, along with either a black alligator strap or matching stainless steel bracelet. While the grey version features applied numerals matching the case and metal bracelet, the opaline version offers an extra edge with red gold numerals. 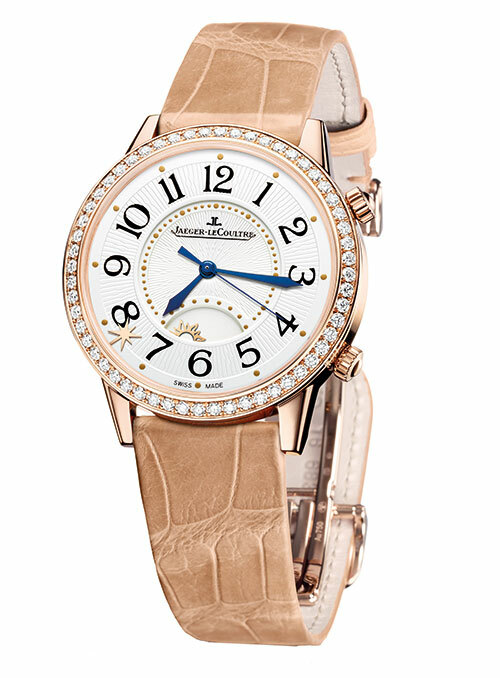 The Rendez-Vous Sonatina Large adds another complication to the brand’s repertoire of women’s watches with the star-shaped Rendez-Vous indicator which can be positioned on the dial to mark a specific time, at which the watch will chime with a single hammer strike. The fine guilloché finish on the amethyst or silver-coloured dial resembles raw silk, while an elegant night and day indicator at 6 o’clock wonderfully compliments the watch’s blued steel hands. 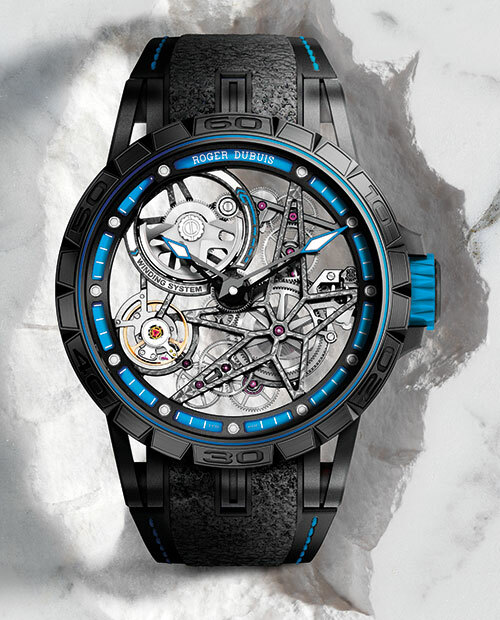 Embodying the amalgam of aesthetics and functionality that the brand is known for, the Excalibur Spider Pirelli Automatic Skeleton offers all black DLC titanium elements with blue accents. What’s more, each rubber strap is made from actual Pirelli F1 tyres — specifically, used rubber which has been plucked from the circuit! 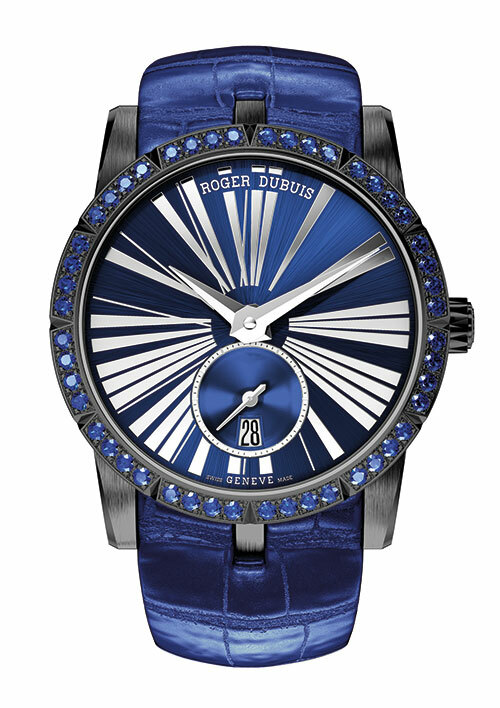 The Excalibur 36 features a striking black DLC-treated titanium case and a bezel set with 48 sapphires, which highlight the shimmering sun-brushed finish and cool gleam of the blue PVD-coated dial. 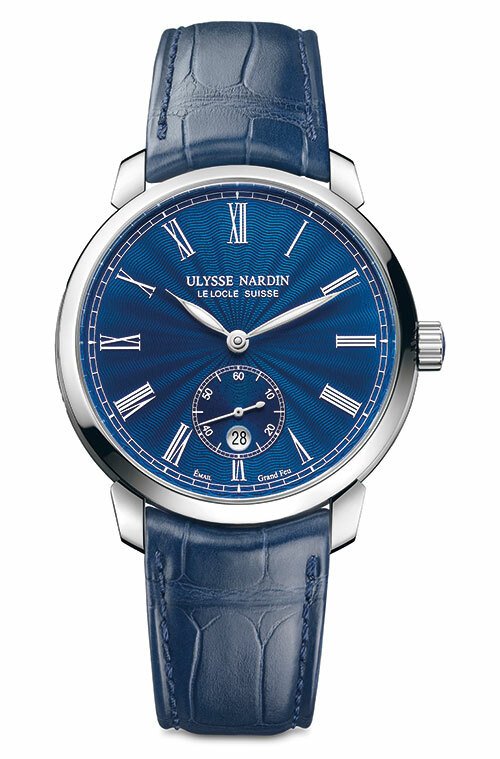 Equipped with the RD830 calibre, the watch is held by a sumptuous blue alligator leather strap. 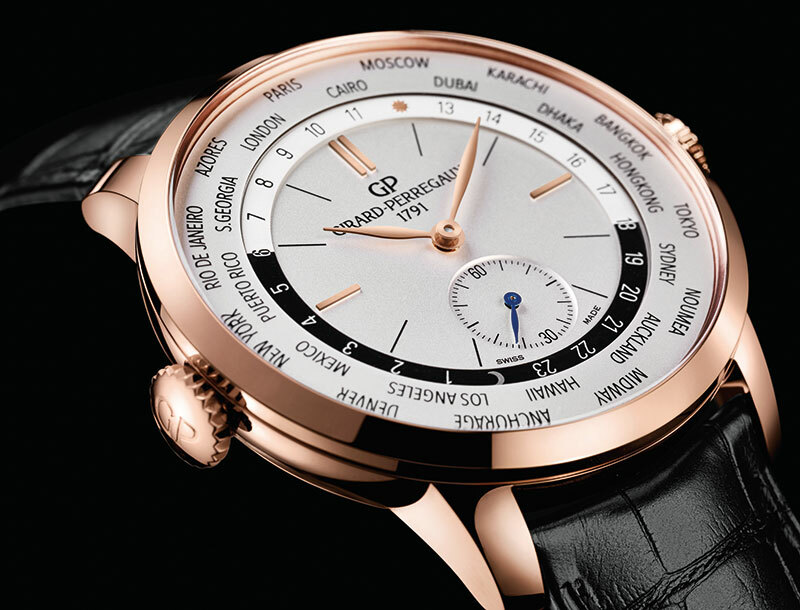 The dial is the main pull of the Classico Manufacture ‘Grand Feu’. The stunning dark blue hue goes well with the wave-like shimmering pattern, which makes sense given the brand’s many nautical associations. 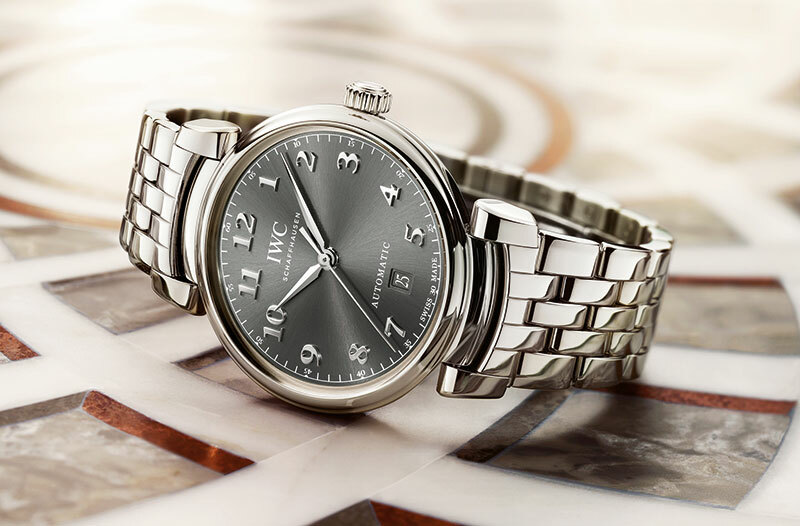 White Roman numerals and curved hands offer contrast and complexity, as does the date disc at 6 o’clock. A classic world time model, the 1966 WW.TC is both stylish and user-friendly. Displaying the exact time for all 24 time zones around the world at once, it comes with a 46-hour power reserve and an immaculate automatic movement. In a new and improved avatar, an iconic watch has made a comeback. Interpreted in a dainty shape rimmed by a halo of 56 different-sized diamonds, the Laureato 34 mm checks all the right boxes. The eight-sided bezel alludes to the collection’s past, as does its quartz movement, looking exceptionally sleek in satin-brushed steel, pink gold, or a two-tone combination of both. 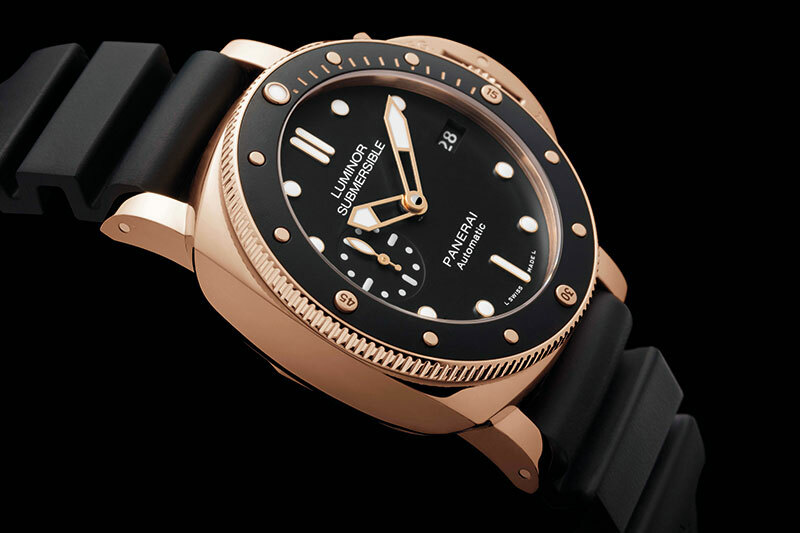 A professional diver’s watch suited for any situation, the Luminor Submersible 1950 3 Days Automatic Oro Rosso boasts a strong 18-carat red-gold case, robust lugs, a crown protection case and much more, while being 5 mm smaller than the other watches in its category. The gold looks great against a black rubber strap, while the matt black ceramic disc with stud markers and black dial complete the look. An ode to Jean Bugatti’s Aerolithe car, the novel Bugatti Aerolithe Performance timepiece is made entirely from titanium and is driven by the proprietary PF335 automatic movement. 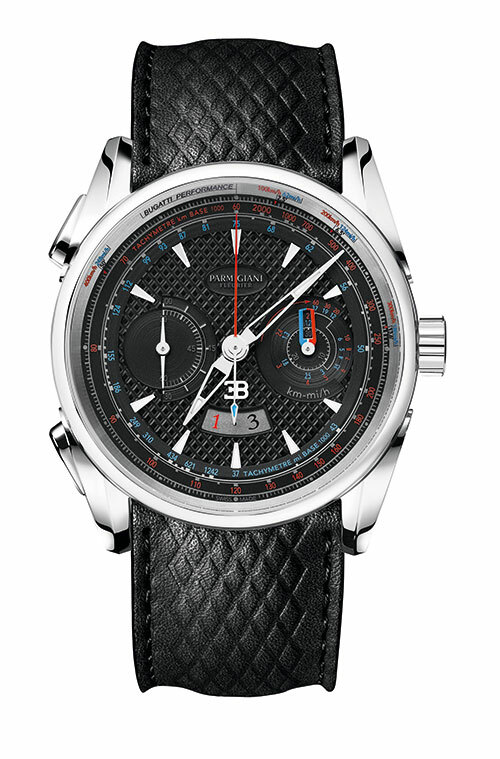 A double tachometer with indications in red and blue echoes the car’s signature colours, while the strap is inspired by the embossed pattern of the manufacturer’s seats. The understated new Patrimony Moon Phase and Retrograde Date features a silver opaline dial on which the cycle and age of the moon are reproduced on a display that will require no corrections for 122 years. 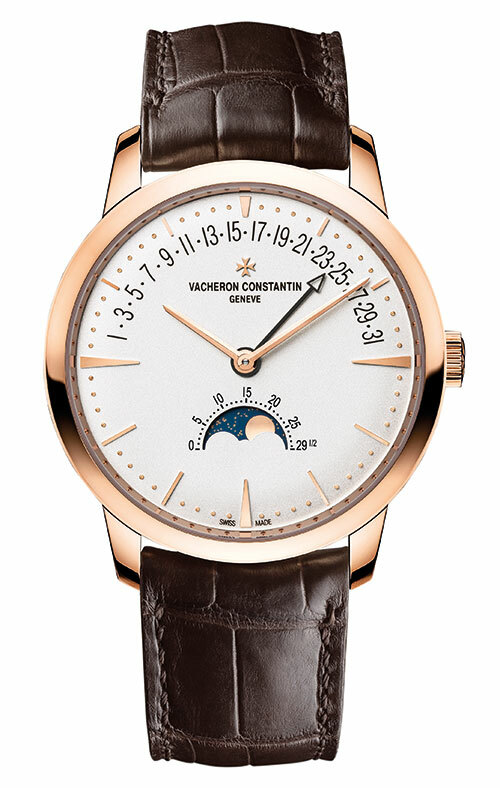 The elegant complication is further complemented by a retrograde date indication, graduated from 1 to 31 across the upper dial arc. The Type 1 Squared is named after its more angular case, the exposed metal and squared-off edges of which give the watch a little more oomph. 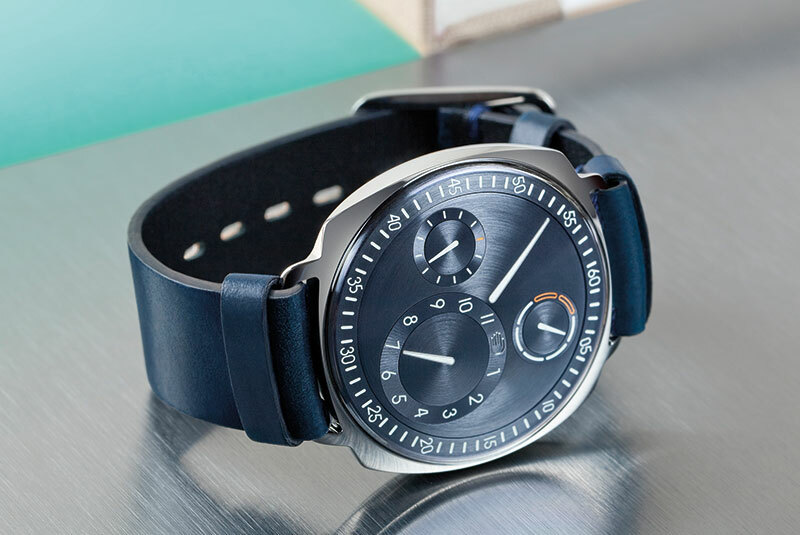 The first timepiece in its collection to be fashioned out of stainless steel instead of titanium, it has a cool curved back that can be gripped and twisted to wind or set the watch. Beautifully showing off the maison’s signature fine leather craftsmanship, the new Cape Cod for men shines with blue, anthracite and black dials which are complemented by indigo, graphite matt and black matt alligator straps. Backed by the manufacture H1912 movement, the watches offer refreshing straps, from cuffs to Barénia and two-toned calfskin.